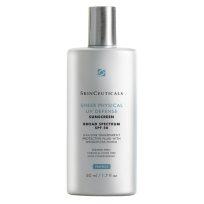 A light, 100% physical sunscreen with a sheer finish and broad spectrum protection for all skin types. 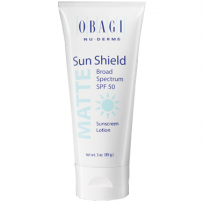 A physical, tinted matte broad spectrum sunscreen that is ideal for normal to oily skin and as a makeup primer. 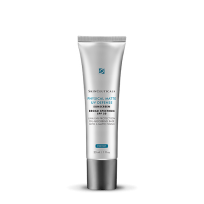 Lightweight tinted formula for the highest level of UVA protection available. This sheer, lightweight, mineral sunscreen gives you the highest level of UVA protection available. Everyday sunscreen for the highest level UVA protection available. 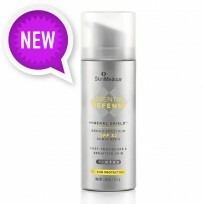 SkinMedica Total Defense + Repair SPF 50+ - 2.3oz. SkinMedica Total Defense + Repair SPF 34 - Tinted 2.3oz. 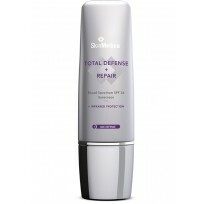 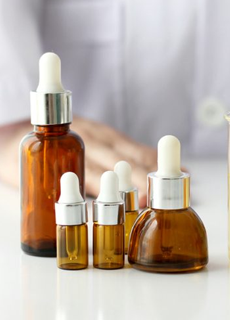 Defends against harmful infrared and rejuvenates photodamaged skin. 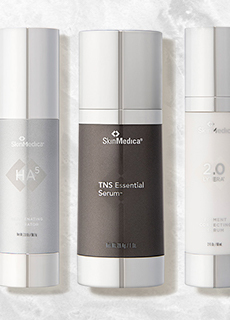 Tinted Formula.